1. 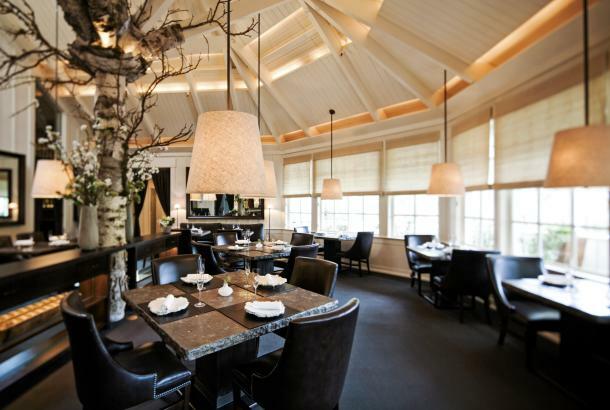 Eat at one of the famous Michelin-starred restaurants. 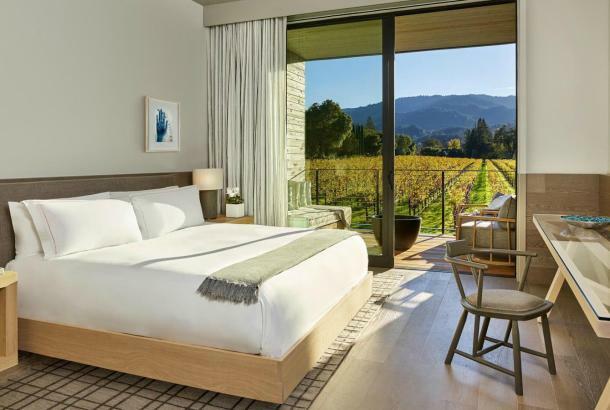 Choose from 6 different restaurants including the three Michelin-starred Restaurant at Meadowood, Restaurant at Auberge du Soleil (pictured above), Solbar and La Toque. All three are nestled in amazing hotels so staying onsite and enjoying fine dining is 100% possible. 2. Take one of the many cooking or baking classes at The Culinary Institute of America at Greystone and be sure to stop in their store, it is a chef’s heaven. Or choose from a variety of topics at Silverado Cooking School. 3. Taste your way through the eclectic Oxbow Public Market with a progressive lunch or dinner. Stop at every vendor for a bite or try several dishes from one. Enjoy everything from cupcakes and ice cream, to Hog Island oysters and gluten-free cake and sandwiches. 4. 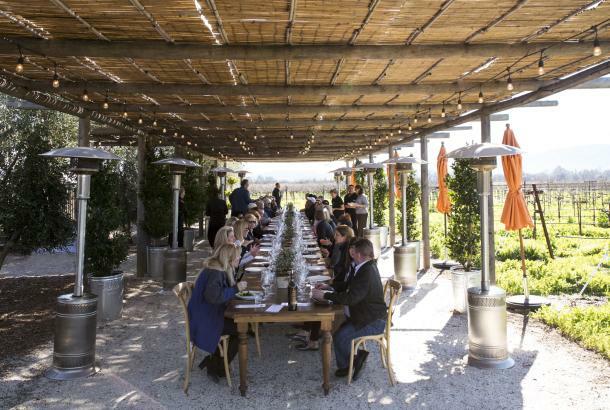 Try a Napa Valley winery food experience, like B Cellars (pictured above) Chef’s Garden Pairing or the Butler Program at Merryvale where a majordomo fetches you fries and burgers from Gott’s Roadside to perfectly pair with Merryvale wines. 5. 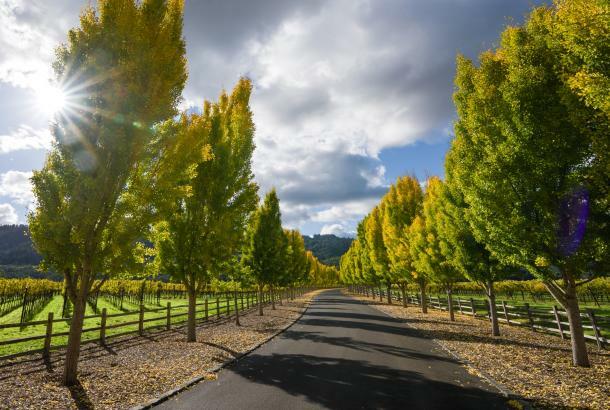 Take a foodie tour with Gourmet Walks or Foodies on Foot to get a behind the scenes taste of Napa. 6. Have a picnic at a winery. Some wineries welcome you to bring your own basket; others will provide the food for you. Bring your own goodies and buy a bottle at Napa Cellars or go to V. Sattui, which has a full deli and marketplace. 7. 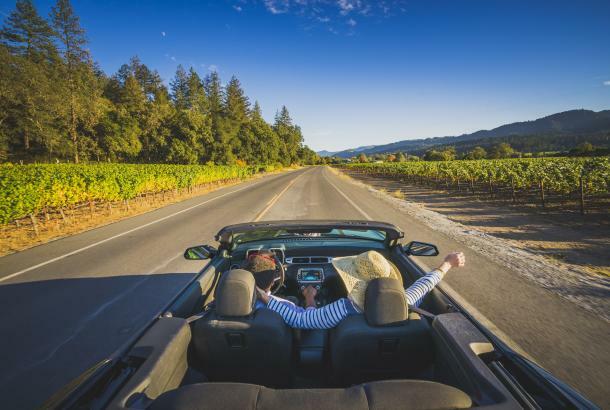 Experience Napa Valley’s fabulous food trucks: Bruschetteria at Clif Family Winery, Cousin Main Lobster Truck, Mark’s the Spot, Phat Salads and Wraps, and more. 8. Check out Napa nightlife at our favorite spots for late-night eats. Get your BBQ on at Bounty Hunter (pictured above) or stop by 1313 Main for some Korean fried pig tails. 9. Hit up Napa Valley’s huge dessert scene with this lineup of the best pastry, chocolate and ice cream shops. Including Ca’Momi, Sift Dessert Bar, Three Twins Ice Cream and La Foret Chocolate & Confections. 10. Visit during the Napa Truffle Festival, Flavor! Napa Valley, Taste of Yountville, or the monthly Culinary Crawl in downtown Napa with Do Napa. 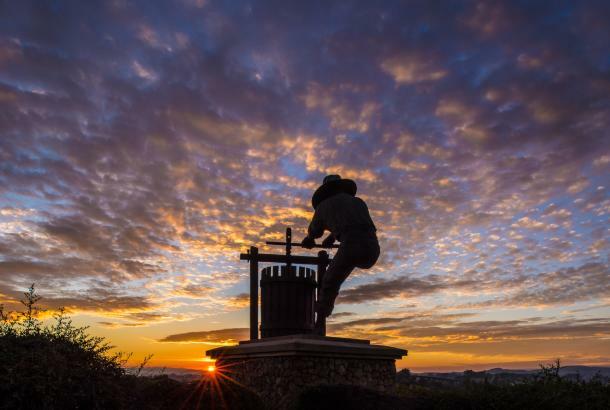 Last but not least, you HAVE to come for Napa Valley Restaurant Week, which is held the last week of January. Auberge du Soleil – Bacon Wrapped Veal, Grilled Cepes, Cray Fish, Fava Bean Sauce. Lisa Diederich Photography: Bounty Hunter – Beer Can Chicken, Sampler Platter and Burger. 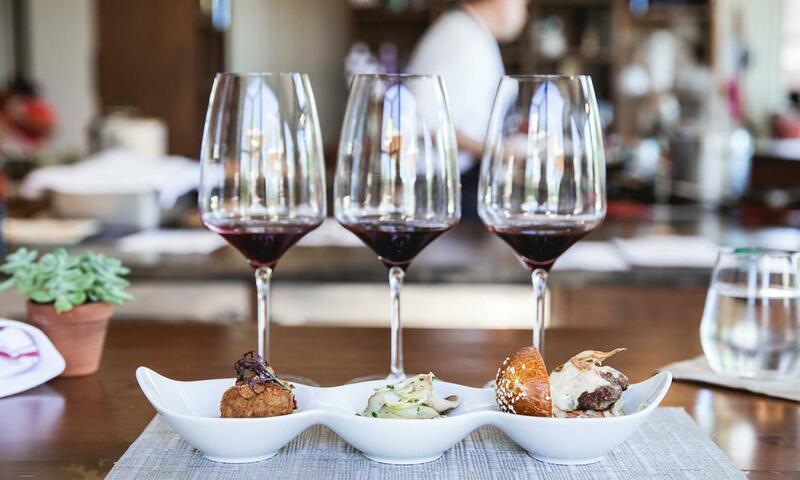 Lisa Diederich Photography: B Cellars – Food & Wine pairing.